Squeeze Chute and Cattle Handling Equipment made by Salt Creek Chutes. The home of the world’s finest hydraulic squeeze chute and cattle handling equipment is Salt Creek Squeeze Chutes. Salt Creek Industries designs and manufactures a complete line of hydraulic squeeze chutes and cattle handling equipment. Our product line includes hydraulic cattle chutes, a larger Magnum squeeze chute, loading chutes, wishbone trailer, mugger head-restraint, and all the accessories. If you’re looking for cattle handling equipment, Salt Creek is the place to be. Our equipment comes with a one year unconditional guarantee, no matter how many cattle you run through it! For the Dairymen out there concerned with the health of your dairy cow hooves, take a look at our unique hoof-trimming chute. One-man operation allows for faster trimming, which saves money and minimizes stress on the cow. There’s nothing else like it! If you’re looking for a faster, safer, and more efficient way to handle your cattle for vaccinations, preg testing, ear-tagging, and branding – we have the answer. Our portable hydraulic chute is completely mobile and designed for simple and fast one-person setup. 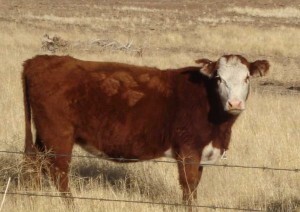 This is a favorite among veterinarians and ranchers alike. Want to see the Salt Creek squeeze chute in action? Watch our squeeze chute Videos!